I have to be honest with everyone. If there’s one thing that has always been my weakness when trying to follow any type of diet, it’s spicy food. I can’t get enough of it. Lucky for me and anyone else who craves a bit of spice in their diet, I’ve got a paleo-friendly recipe that makes amazing spicy enchiladas. 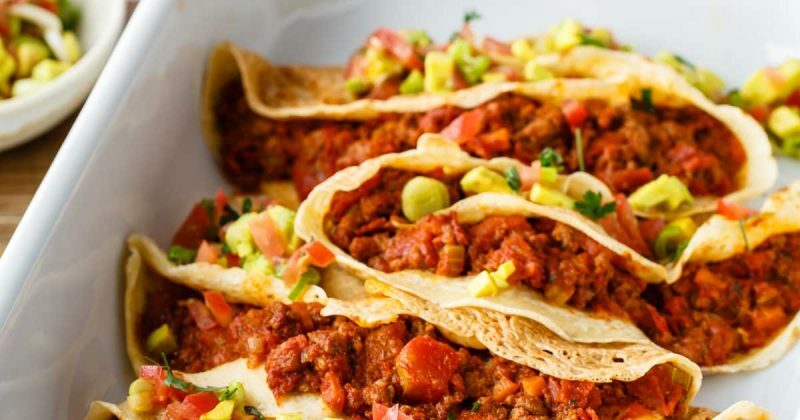 The filling uses lean ground beef along with plenty of savory herbs, spices, and veggies to give it an all natural spicy kick with every single bite. What makes these spicy enchiladas so great is the filling which is completely homemade. 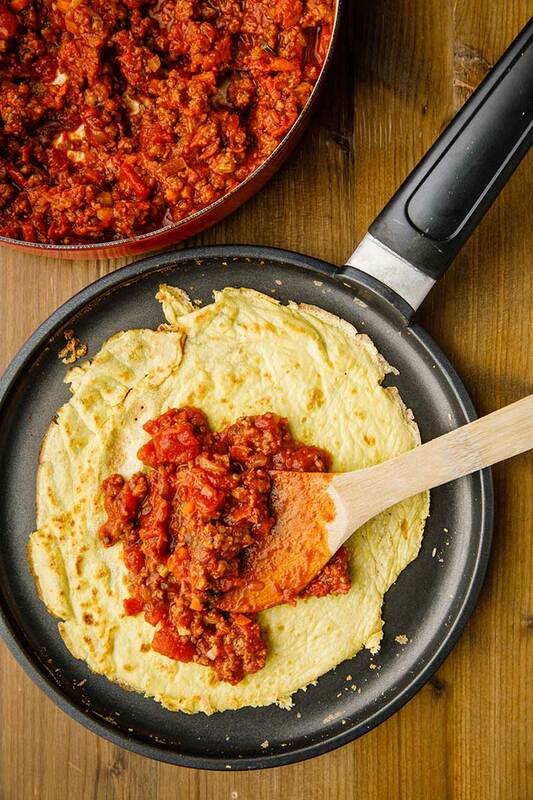 Unlike traditional Mexican dishes made with hot chili sauces, this filling uses an incredible mixture of herbs and spices including paprika, cumin, coriander seeds, and oregano. 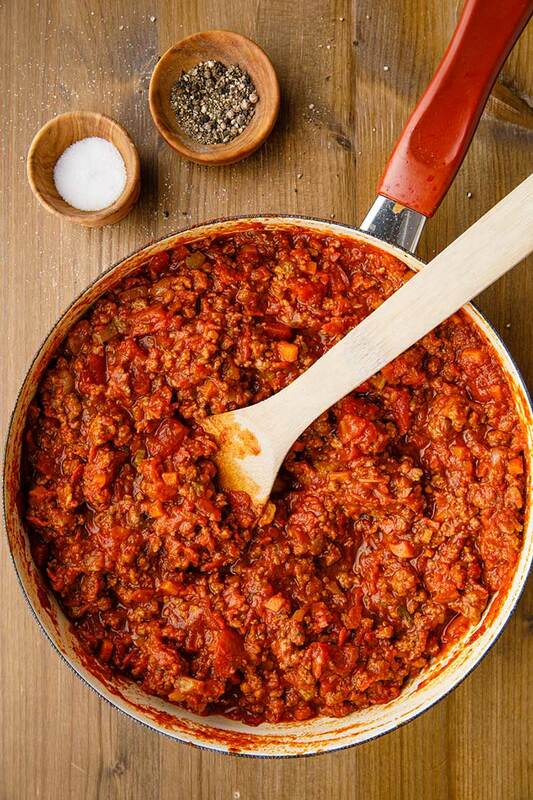 To give the enchiladas their protein content, the recipe uses lean ground beef and chorizo pork sausage. It wouldn’t be a good enchilada without a hearty amount of veggies in there though, so it also includes chopped onion and tomatoes, garlic cloves, celery, and carrot as well. If you’re not a fan of beef or would like to reduce the fat content of this recipe, you could also use ground chicken as a substitute for lean ground beef. Keep the chorizo pork sausage in to maintain the smokey taste and to give the ground chicken that nice golden, reddish color. The resulting enchiladas are perfectly hot and spicy with just the right amount of vegetables for some crunch and boost in nutrient content. 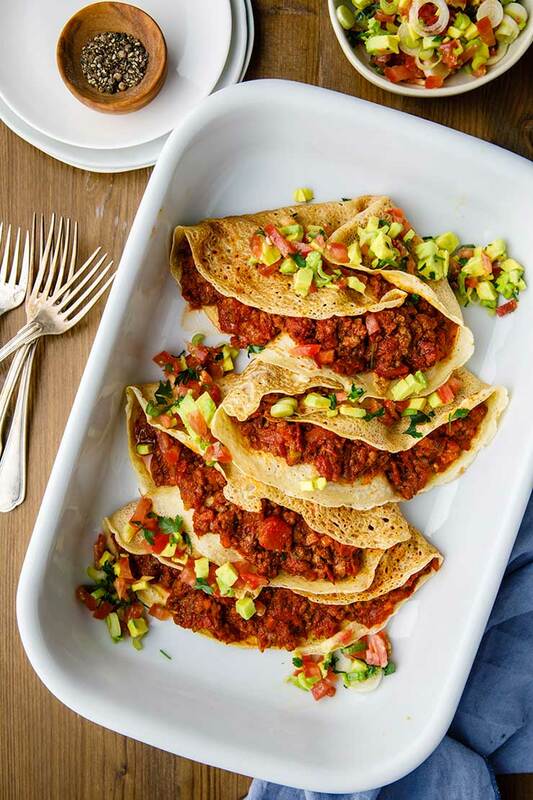 Once you try out these enchiladas, you’ll never have to order Mexican take-out again, and you can rest assured knowing you can still enjoy a great spicy meal that’s completely paleo-friendly. Mexican Food without Salsa? Never. 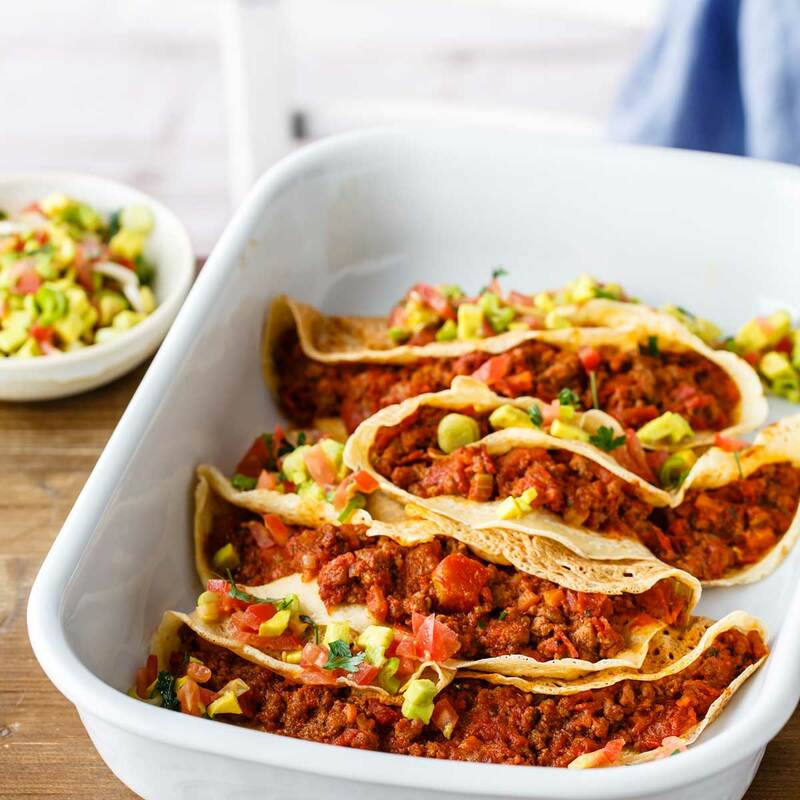 Now that you’ve created the perfect paleo enchiladas, it’s important that you have the perfect salsa to complement it. In traditional Mexican restaurants, there are usually two types of salsa served: the red tomato salsa and the green salsa, also called salsa verde. Salsa verde is usually less spicy than regular red salsa. This tomatillo salsa verde recipe is the perfect accompaniment to your spicy enchiladas and takes no time at all to make. It’s almost unfair just how good these spicy enchiladas really are while technically being a “healthy” food choice. Even if you’re the type of person who’s used to authentic Mexican style enchiladas, you’ll be sold after trying out these ones. It’s got everything you could possibly want–a good amount of protein, plenty of healthy veggies, and enough spicy kick to leave you savoring every bite. Add the carrot and celery and cook for 5 minutes. Add the chorizo and cook for 2-3 minutes. Add the tomato and ½ cup water. Cook, stirring frequently, for 30- 40 minutes or until liquid has almost evaporated. Season with salt and black pepper to taste and set aside. To make the crepes, in a bowl whisk the eggs. Add the water and combine. Add the coconut flour and baking soda and whisk well until smooth and without lumps. Heat 1 tsp olive oil in an 8 inch non stick pan over medium heat. Add 1/3 cup batter and swirl to coat the pan. Cook the crepe for 2-3 minutes, carefully flip over, and cook for another 2 to 3 minutes. Repeat with remaining batter until you have six crepes. 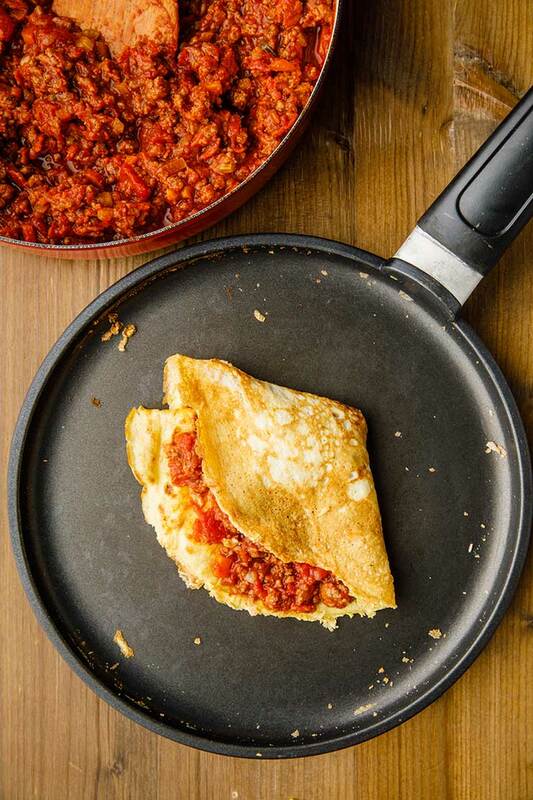 Fill the crepes with beef-chorizo mixture. 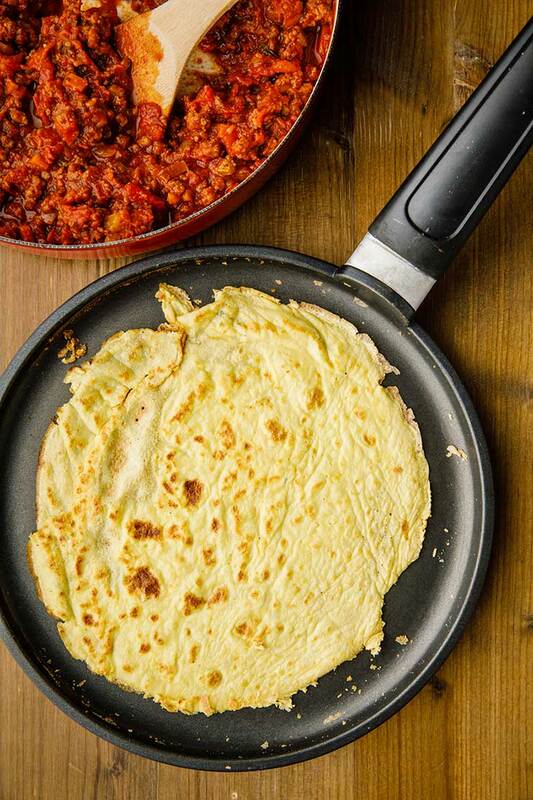 Fold each crepe in half, then half again, forming a triangle and place on a lightly greased baking tray. Bake for 10- 15 minutes or until crisp. Top with your favorite salsa and serve. P.S. – If you’re looking for even more paleo spicy food options, check out these great spicy roasted cashews that use a homemade seasoning to add some bite to cashews. P.P.S. – Not spicy enough for you? How about this incredible slow cooked spicy pork with sweet potato and squash then — the meat is so tender it falls apart and the flavor is out of this world! P.P.S. – For a different kind of heat, check out this list of 37 authentic spicy Cajun recipes. Some of them range from just hot enough to too hot to handle.